About 6 years ago my Father was diagnosed with Chronic Fatigue Syndrome, Depression and Anxiety. The best the medical profession could offer was a cocktail of medications to treat the symptoms and little in the way of hope for treating the underlying causes. Not surprisingly his health continued to decline. At the same time we were studying nutrition and sending my father many books we had read but these didn't seem to help convince him. So for the next 12 months (with 3 years of research up our sleeves) we set about creating the independent documentary film 'Food Matters'. 'Food Matters' features interviews with leading health experts who reveal the best natural healing choices you can make for you and your family's health. In the film you'll discover what works, what doesn't and what's killing you. Needless to say after my father saw the film he quit his pharmaceutical meds, changed his diet, lost 20% of his body weight and is now running 3 times a week which is a big change from being bed ridden for 5 years! Thank you for your support in helping this lifesaving information reach more people, it would not be possible without you. PS: You don't have to take our word for it, here is what others are saying about the film. "James and Laurentine provide a radiant beacon of hope with steps you can do today to take control of your health and begin healing. This is such important information - and much aligned with my personal health philosophies. It's time to get it out to everyone who will listen. 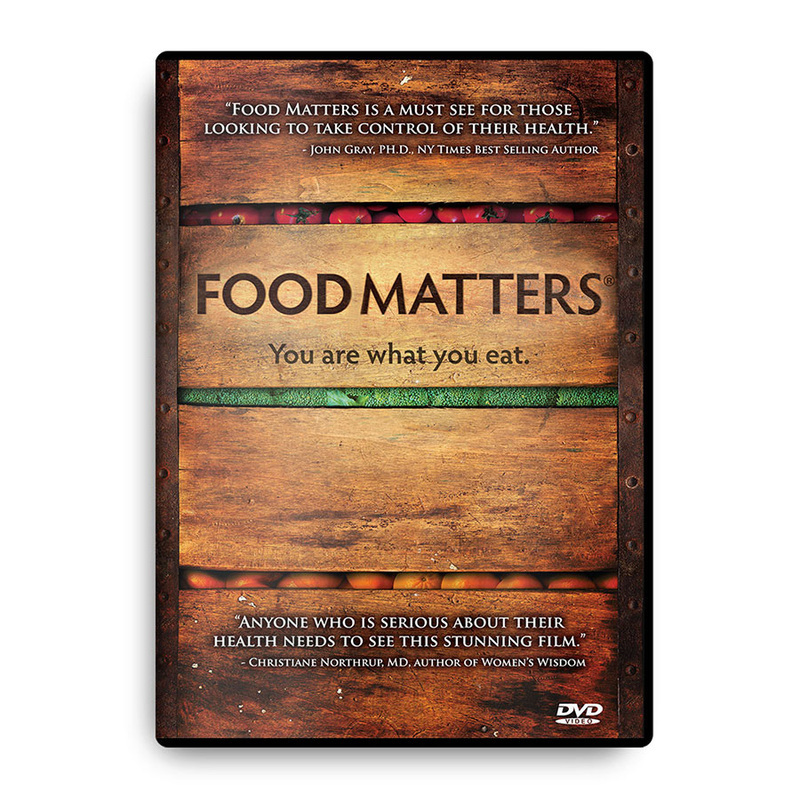 I encourage you to order a copy of Food Matters today and watch it with your friends and family."